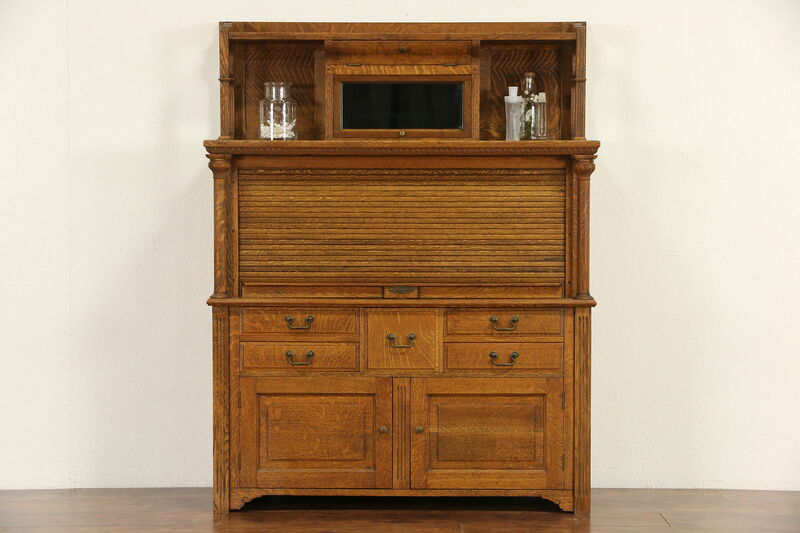 An outstanding dentist's cabinet from about 1900 is solid quarter sawn oak with a matte oil finish. Functional for jewelry or a collector, construction is superior quality. There are minor stains and mars for a little antique character. Solid brass hardware is original on this American made furniture. A locking roll top covers a triple bank of drawers. Raised panels and shaped columns are authentic. A lift lid door has old mirror with a hint of smoke. Dimensions are 46" wide, 18" deep and 58 1/2" tall.